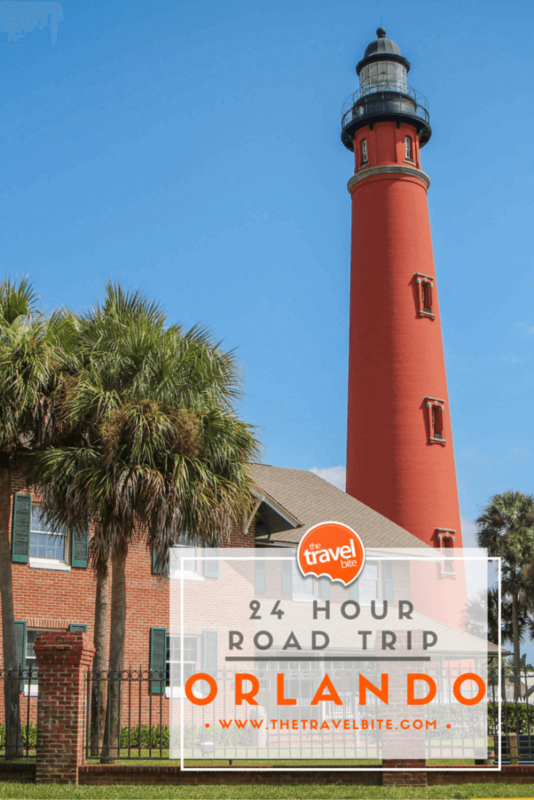 What would you do with an extra 24 hours in Orlando? Your conference has ended, but you’d like to explore the sunshine state for a day before your flight home. How would you spend that free time? Since Orlando is my home town, I’m often asked for recommendations for places to eat and things to see outside of the convention centers, hotels, or theme parks for visitors who want to get off the beaten path and experience a bit of authentic Florida. National Car Rental is running its One Two Free promotion from now through January 31, 2016 during which registered Emerald Club members can earn a free car rental day, so they’ve asked me to put together a fun 24-hour itinerary for the Orlando area so you can make the most of your extra day. It includes some of my favorite places that include a bit of Florida history, scenic landscapes, and of course, a lot of delicious foods. Be sure to check out their website at (https://www.emeraldclubpromos.com/12Free/2015/) to register and learn how you can earn your free rental day, then check out the 24-hour Orlando itinerary I have planned below to get the most out of your extra day! Fill up your rental car with a full tank of gas and bring along your bathing suit, a couple of towels, a GPS, your camera, a phone charger for the car, and your favorite driving tunes. 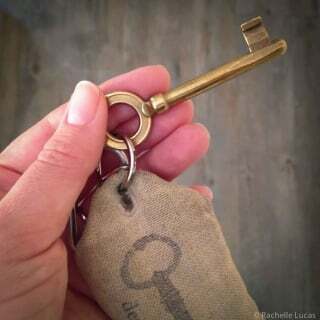 Everything else you need you’ll be able to pick up along the way. Every road trip needs a good playlist, so be sure to download your favorite driving music, a few interesting podcasts (like ours on iTunes and Playit), or tune in to the local radio. Here’s a list of some of central Florida’s most popular stations. A Note About Spontaneity: The suggested times at each of these locations are just a recommendation. If you find a place you love, feel free to linger a little longer. After all, that’s what great travel is all about! Just be sure to check operating hours for your next location in case you’re running a bit behind. Located about an hour drive north of downtown Orlando, Deleon Springs is where legends say that Ponce de Leon thought he had discovered the fountain of youth. Or, at least, that’s what the town told visitors in the 1960s to drum up some tourism. The crystal clear water bubbling up out of the aquifer at 72 degrees certainly looks like it could have been what Ponce was looking for, and it’s a great place to go for a swim. But what I really love about this state park is the pancakes at the Old Sugar Mill. 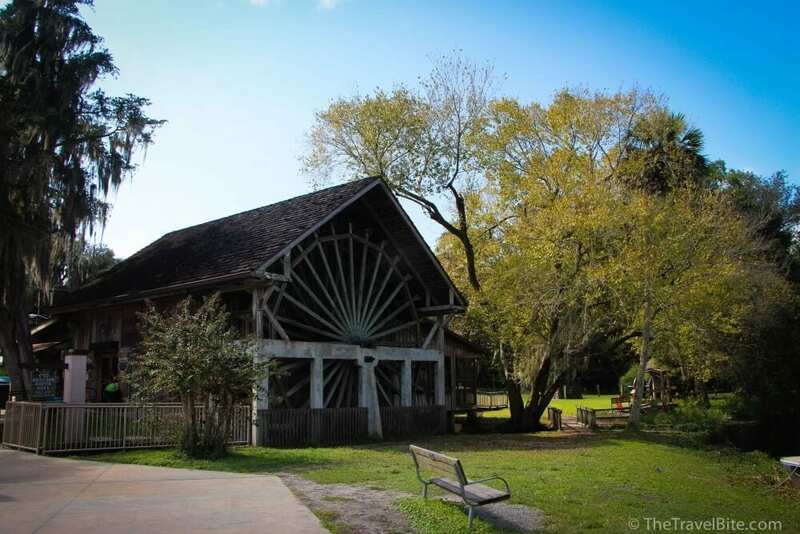 Built in 1832, The Old Spanish Sugar Mill located at Deleon Springs was the first water-powered sugar mill. The original mill burned down in a fire, but the machinery was restored and today you can enjoy breakfast in a 100 year old replica of the original mill. 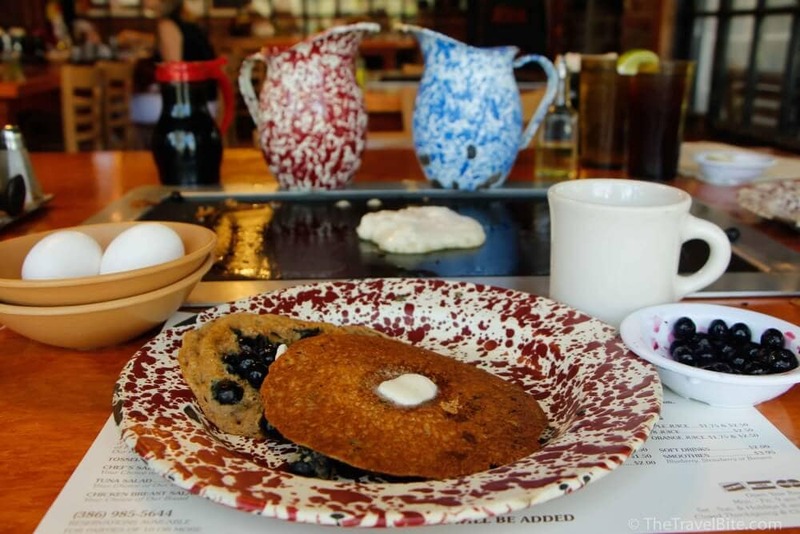 Enjoy a hearty breakfast including pitchers of homemade stone-ground pancake batters that you can cook on a griddle right in the middle of your table. TIP: Breakfast here is so popular that there can be a bit of a wait on the weekends, so weekdays are best for getting a seat. Also, it’s not air-conditioned, so it’s best to visit during the fall/winter season when the weather is cooler. The Old Spanish Sugar Mill is also known for their fresh baked breads, cookies, and other locally made treats including alligator jerky. Pick up some snacks to-go for your road trip. After breakfast, go for a scenic boat ride or a cool dip in the springs. There’s also a small hiking trail and museum dedicated to the fountain of youth. 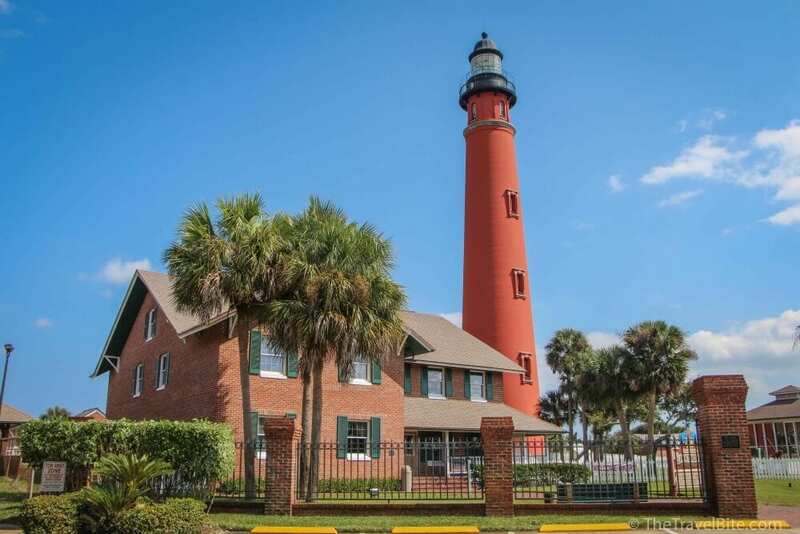 After a hearty breakfast and a quick dip in the fountain of youth, head back on the road to see one of Florida’s tallest lighthouses — Ponce Inlet Lighthouse. If you’re feeling up for a challenge, you can climb the 175 steps to the top for some amazing views of the Atlantic ocean and Florida’s coastline. 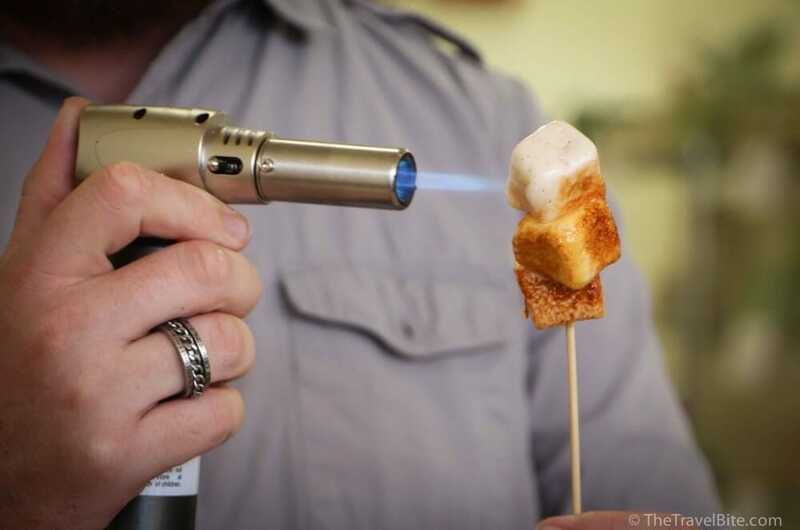 Enjoy s’mores at Orlando’s very own Wondermade, a local craft marshmallow maker. Each batch is handmade with ingredients you’ll recognize and they get really creative with seasonal flavors like chai, apple cinnamon, and even bourbon. In their cafe, you can have the marshmallows toasted, smooshed in a s’more, or served on top of a cup of hot chocolate or coffee. It’s one of my favorite seasonal treats and is also what I usually pick up as a gift for out-of-town guests. If you’re hungry for more than road trip snacks and s’mores, then I recommend a stop at Hollerbach’s, an authentic German pub with pretzels, wurst, schnitzel, and more. On some days, they even have live music! This boutique luxury hotel, the Alfond Inn, is located in one of my favorite central Florida neighborhoods — Winter Park. 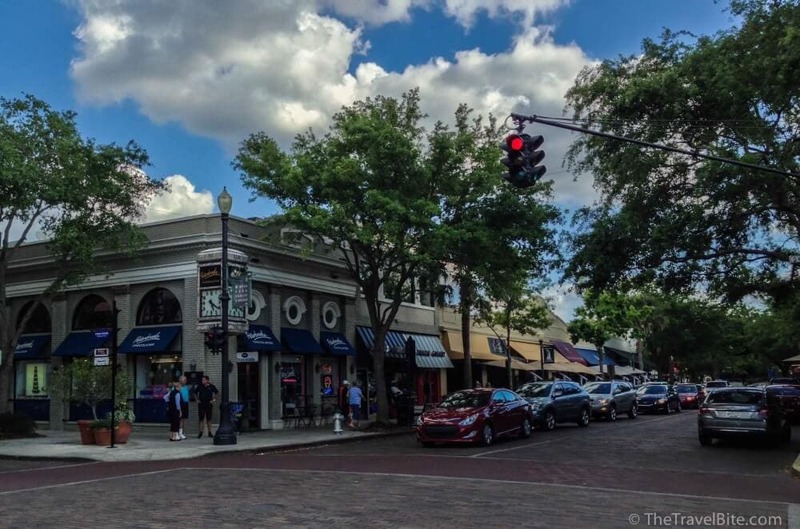 With tree-lined brick streets, a beautiful park, art museums, and some of the best restaurants in town, Winter Park is on the top of my must-see list for anyone visiting Orlando. TIP: If the weather is nice and you’d like to go for a walk, head down the street to the Rollins college campus and go for a stroll along its lakeside gravel trail for gorgeous views of the sunset over the lake. It’s hard to pick just one restaurant in Winter Park, but if I had only one night there, it would be dinner at Prato. Their menu offers modern Italian cuisine and an epic wine list. Start with a plate of their house cured meats and red wine marinated olives, then order a couple of main dishes to share or one of their wood fire oven pizzas. The Widowmaker with hazelnut romesco, fennel sausage, and farm fresh egg is my favorite. TIP: Call ahead to make reservations at Prato. After dinner, walk over to Peterbrooke Chocolatier for a homemade churro gelato sandwich. Yes, I said churro. And you thought cronuts were all the rage … just wait until you try this! Peterbrooke is also a great place to pick up some edible souvenirs for home. 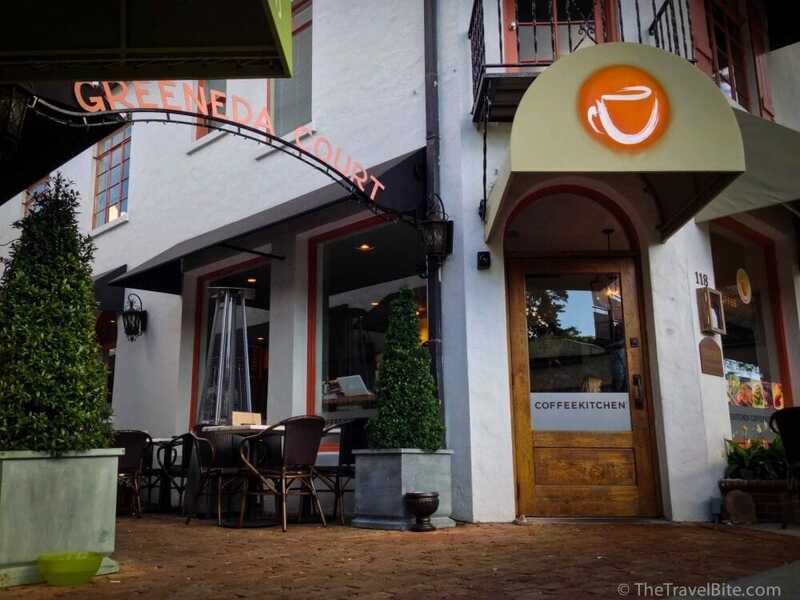 Enjoy a leisurely breakfast at local coffee roaster, Barnie’s CoffeeKitchen for a pour over, fresh eggs from a local farm, and decadent pastries and baked goods. My favorite thing to order here is a cardamom-scented Turkish Latte and Israeli Shakshuka. After a leisurely park-side breakfast, it’s time to head back to Orlando to catch your flight! Interested in getting an extra 24 hours for free on your next car rental? Head on over to The Emerald Club to find out more about their One Two Free program and register. 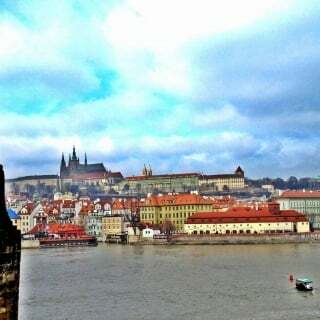 Then, the next time you travel for business or pleasure, you’ll be earning points to add an extra car rental day to your vacation so you can spend time exploring fun off-the-beaten bath locations like the itinerary I outlined above. How does it work? For the One, Two, Free program, you’ll earn a free 24 hour rental for every two qualifying rentals. Got a short two-day business trip? That qualifies as one. Going on vacation and renting a car for eight days? That counts as two! See how easy that is? 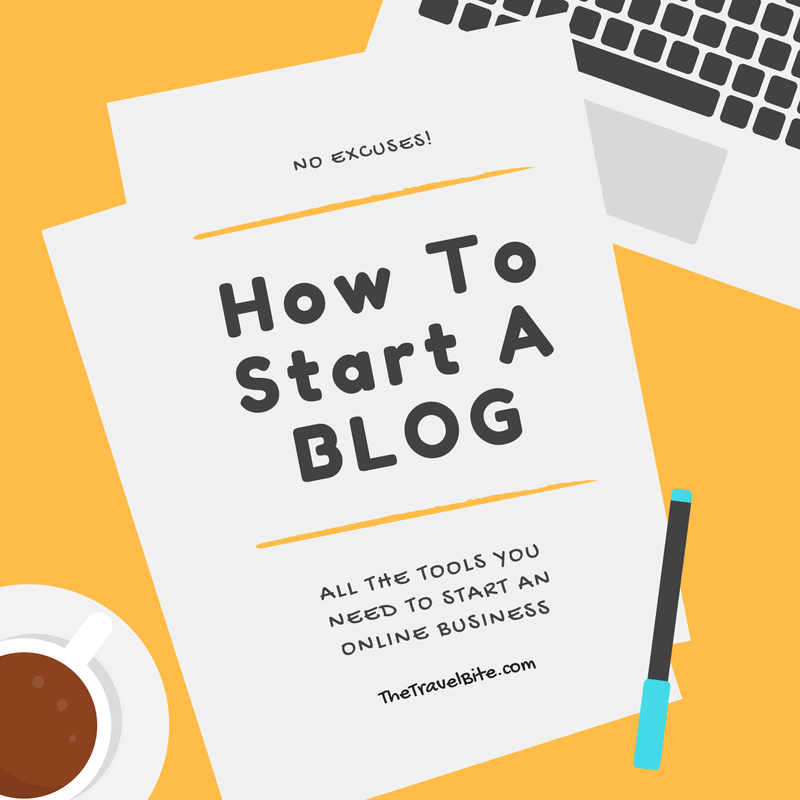 Again, be sure to check out One Two Free for more detailed information and to register. Disclosure: We created this itinerary in partnership with National Car Rental. Thank you for supporting brands we love! All enthusiasm for travel and food are entirely our own. Wow…the pancakes and ponce look awesome. I am hungry now! It’s great to get such an itinerary from a native, Rachelle! I’ve never been to Orlando, but I love all of your food suggestions (OMG the marshmallows!) Pinning this to save for later! Great 24 hr schedule! The Marshmallows are really to-die-for. You can order them online too. 😉 The holiday flavors are the best! OMG. The S’mores In Sanford are everything!! I haven’t been to Orlando in years but we’ll be there in a few months for a conference so I’m totally going to add some of these to our agenda! Also we just rented our first car from National last weekend in KC and the Emerald Club is amazing. Seriously the easiest pick up/drop off ever!! I visited the lighthouse a few weeks ago and I was so impressed! It is so well kept and was fun climbing the stairs to the top. I need to check out the Marshmallow place on my next visit to the Orlando area! This is the ultimate road trip!! I will keep this in mind when the hunny and I head that way in the spring!! So this makes me want to plan a trip to Orlando just so I can stay an extra day!! What a fun itinerary! You really covered some ground! My sister in law has a home in Ponce Inlet. We spent a few weeks there a few summers ago and loved the lighthouse as well as many other sites (manatees that come up to her boating dock daily). You have some great resources on your list. I want those s’mores!! Also cooking the pancakes at your table is like the best idea ever! Um, I didn’t realize Orlando had such an amazing foodie scene! I definitely need to boo a ticket. Also, the s’mores???!! Always a win-win situation!